BACK TO SCHOOL PORTRAIT SPECIAL! The wonderful Sweet Harvest is busy printing Back to School Signs (https://www.etsy.com/…/…/first-day-of-school-sign-preschool…) and Celtic Gray is THRILLED to provide professional portraits once you get yours printed! $20, 2 images, 10-minute session to take place in the Broadlands (as shown in the images). Additional images can be purchased from your gallery for $5/each. These can be booked for any early evening through Labor Day! 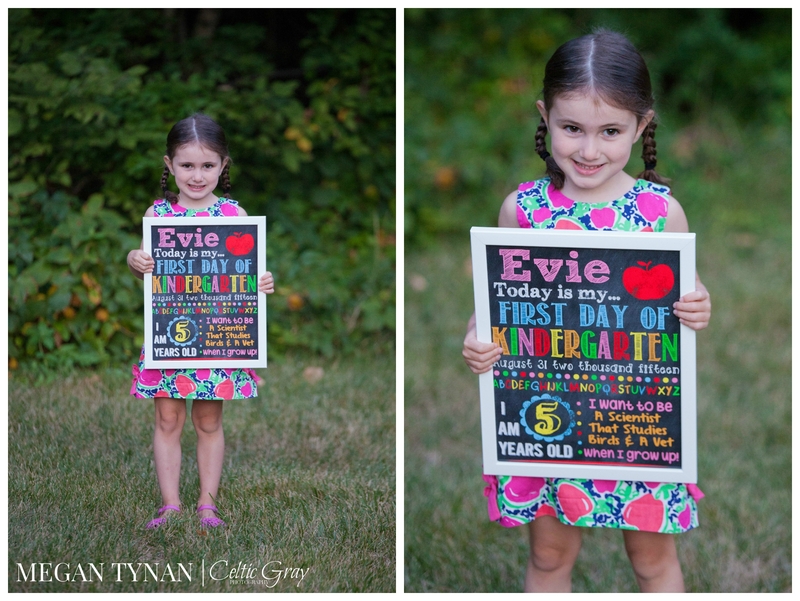 Signs are not required, but SUCH a wonderful way to document your “little” growing up! Mom and Dad are welcome to jump in an image (nice to get BOTH parents in the picture when so often we only get one in during those rushed first day of school mornings!). Next postAnd Just Like That. Kindergarten.